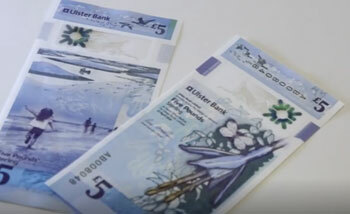 Ulster Bank – new banknotes. In previous press releases only one side was published. These notes were created by Nile Design of Edinburgh, and are based on the theme “Living in Nature”. The £5 note focuses on Northern Ireland as a place that people pass through and visit, highlighting the importance of the sea and migration, and features Strangford lough and Brent geese. 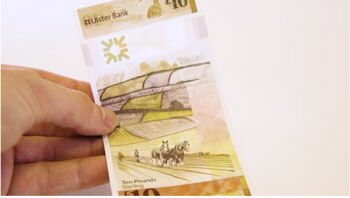 The £10 note focuses on Northern Ireland as a place of growth, both in terms of heritage and agriculture, and features Lough Erne, the Irish hare and Guelder-rose shrubs. The notes were designed by Neil Wallace of O Street, under the guidance of local creative directors Lisa Smyth and Colin McCadden.